NEWSBYTE ‘Democratised AI’ will be one of the major trends to shape our future technologies, according to new report from analyst firm, Gartner. Gartner’s latest Hype Cycle research, which draws together insights on over 2,000 technologies, suggests that AI will be “virtually everywhere” over the next 10 years, but – significantly – it will be open to the masses, rather than being the expensive preserve of large enterprises. A range of factors will contribute to the emergence of popular AI, including cloud platforms, open-source projects, and the maker community, eventually “propelling AI into everyone’s hands”, according to the company. 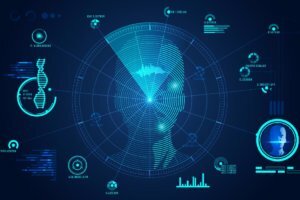 Gartner’s research also says that AI-based Platform as a Service (PaaS) solutions, conversational AI, and deep neural networks are set to become enterprise technology staples, alongside mobile robots and driverless vehicles. “Technologies representing democratised AI populate three out of five sections on the Hype Cycle, and some of them, such as deep neural nets and virtual assistants, will reach mainstream adoption in the next two to five years,” said Gartner research VP, Mike Walker. Overall, Gartner predicts an increase in human-centric technologies, including 3D-printing, connected home devices, edge computing AI, and self-healing systems. But as all these technologies become more widely available, biohacking – via technology augmentation, nutrigenomics, experimental biology, and so-called grinder biohacking – will begin to make transhumanism a reality, claims Gartner, while immersive experiences and ubiquitous infrastructure technologies will also become more and more popular. As technology becomes increasingly personal and available to all, it stands to reason that the boundaries between human and machine will begin to blur, and between human beings and what some might see as an improved version of themselves at genetic level. An exciting, but also troubling time in terms of the ethical and moral dimensions. The post Gartner: Democratised AI commonplace in decade – transhumanism not hype appeared first on Internet of Business.